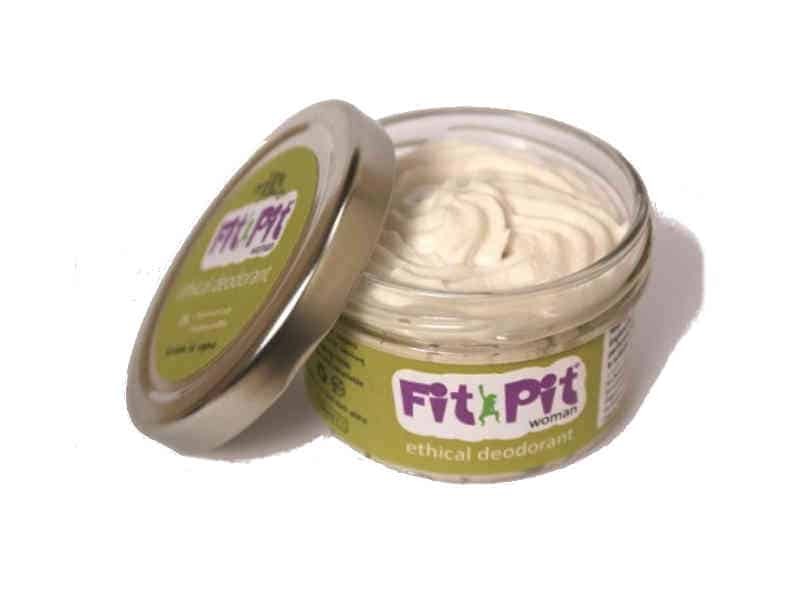 Fit Pit Womens Deodorant is a fantastic alternative to standard deodorants. It’s 100% natural, organic and contains no parabens, BPAs or Aluminium Salts. It’s lightly perfumed with Rosemary and Bergamot essential oils and comes in a glass jar eliminating any plastic packaging. The deodorant is applied using your fingertips and melts on contact with the skin. drying instantly leaving no white stains. 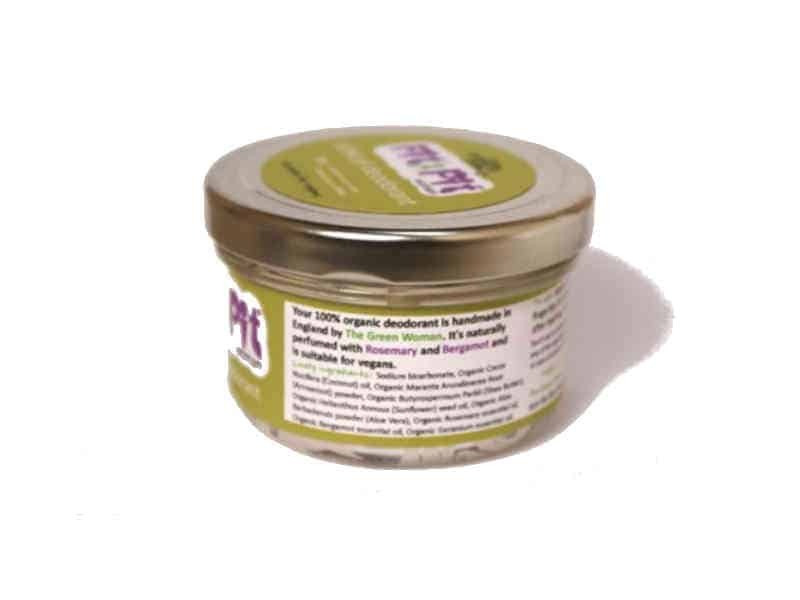 The 100ml glass jar is reusable or recyclable and contains a 3 month supply. Apply a pea size amount of this cream deodorant to underarms with fingertips. Melts on contact with warm skin and will dry almost instantly leaving no white marks. 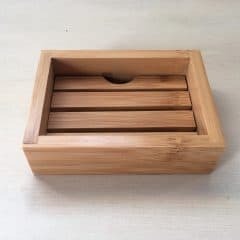 This soap dish is made from bamboo that is grown sustainably using only water, no pesticides, fertilisers or herbicides! Bamboo is a self regenerating plant and can grow up to four feet per day making this a renewable and environmentally friendly material. 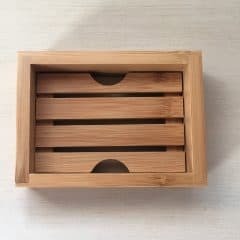 The design of the soap dish allows easy drainage of water ensuring your soap can dry out and last as long as possible. Made from 100% cotton, this pack of 6 reusable baby wipes is a great plastic free alternative to disposable baby wipes and paper napkins. 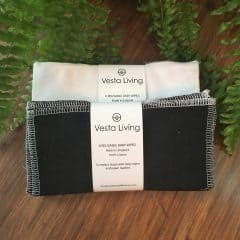 Handmade in the UK they are super soft and can be machine washed to ensure you will be using them time and time again. Each square measures approximately 18cm x 18cm. To use either soak in a liquid solution or use with a liquid spray. They can also be used dry. This handmade coffee soap bar offers a latte scent, not not be mistaken for an espresso! 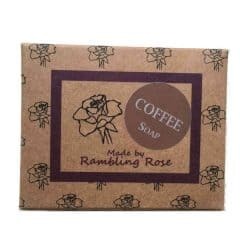 With ground coffee beans this soap provides a medium exfoliation and is an excellent cleanser. The soap is handmade in Norfolk and is super gentle on your skin. It produces a soft lather that keeps your skin moisturised unlike many of the commercial soaps. There are no unnecessary ingredients or chemicals in the product which makes these great for any skin types. Every year billions of disposable plastic razors end up in landfill or polluting the environment. 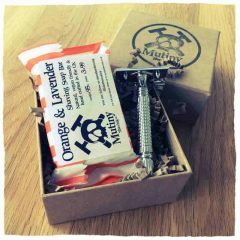 This Mutiny Shaving Box is plastic free and 100% vegan making this a perfect way to help solve this problem. This iconic Mutiny Shaving Box in its simple, natural, understated, recyclable packaging, contains a traditional razor that will last years and give a close, smooth shave without the user suffering from razor burn or ingrowing hairs. It’s better for your skin than disposable razors, better for your bank balance (as replaceable blades are very inexpensive) and better for the environment. The set also contains a synthetic shaving brush that helps exfoliate your skin and soften your stubble ready for the shave. No animals were harmed in the making of this simple, squared off, oak handled synthetic shaving brush. The oak sustainably sourced from the Scottish Highlands and proudly finished off with our Mutiny logo. 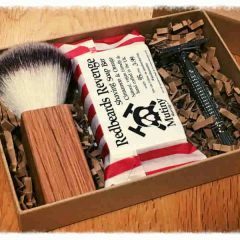 Also included is our handmade (using the traditional cold process) ‘Redbeard’s Revenge’ Cinnamon & Orange Shaving soap, made entirely from 100% natural ingredients. 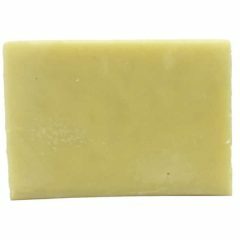 This soap lathers up and smells beautiful with a spicy, wintry scent mixed with a sharp citrus orange and finished with kaolin to add a smooth moisturising, cushioned layer to your shave. 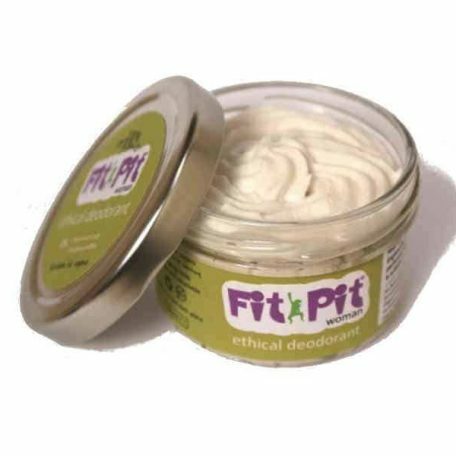 100% natural, not tested on animals, no Parabens, no SLS, only natural, ethical ingredients. Each soap is hand cut so may differ slightly in shape. All sets come with 5 FREE recyclable razor blades to get you started. This solid moisturising bar will deeply moisturise your skin in just one go! Just rub it on damp skin and your skin will feel healthy and moisturised. And remember a little goes a long way! 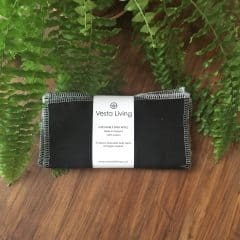 This bar is scented with lavender, palmarosa and ylang ylang essential oils, which create a delicate, sweet floral blend. 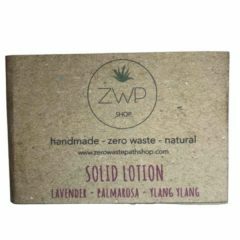 The product is made using 100% renewable energy and comes in 100% recycled packaging consisting of unbleached paper glued with a plastic-free natural almond-based glue. It is recyclable and/or compostable. Please avoid keeping this solid lotion in the shower! 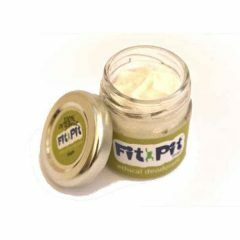 Fit Pit Tea Tree & Orange Deodorant – Travel Size is a fantastic alternative to standard deodorants. With a low bicarb formula that is light and gentle, suitable for delicate skin. Scented with invigorating Tea tree and Orange essential oils it’s 100% natural, organic and contains no parabens, BPAs or Aluminium Salts. It comes in a glass jar eliminating any plastic packaging and is applied using your fingertips. The deodorant melts on contact with the skin and dries almost instantly leaving no white stains. 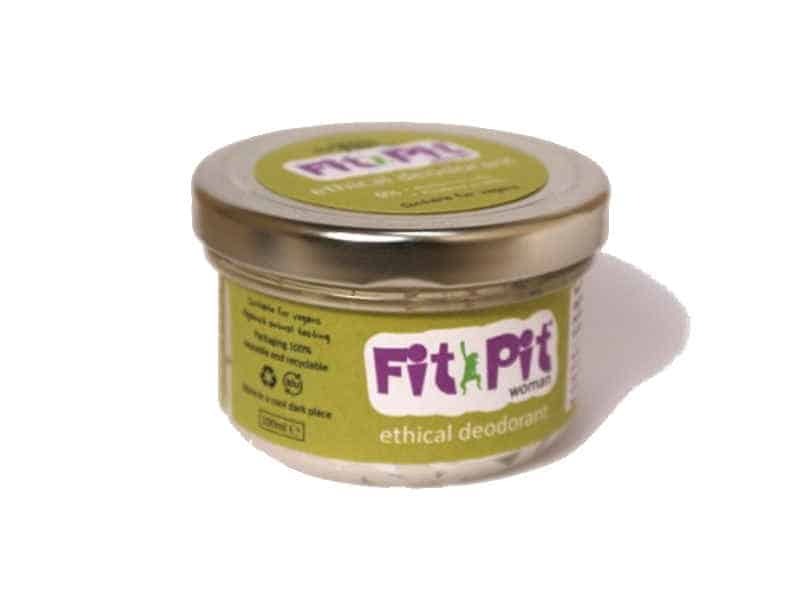 The 25ml glass jar is reusable or recyclable and contains a 3 week supply. Every year billions of disposable plastic razors end up in landfill or polluting the environment. This Mutiny Mini Box is plastic free and 100% vegan making this a perfect way to help solve this problem. Our iconic Mutiny Shaving Box has gone mini. A Mutiny Shaving Box without the synthetic brush. 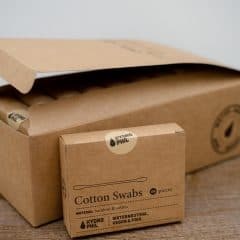 Still in its simple, natural, understated, recyclable packaging with hand stamped Mutiny logo only in a smaller package. It contains a traditional razor that will last years and give a close smooth shave without the user suffering from razor burn or ingrowing hairs. 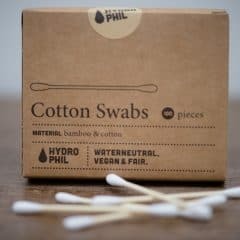 Far better for your skin than disposable razors, better for your bank balance as replaceable blades are very inexpensive and so much better for the environment. 100% natural, organic, handmade, vegan friendly Orange & Lavender shaving soap. Created using the traditional cold process method and cured for three weeks. Lathers up and smells beautifully citrusy adding with the added healing, calming and soothing ingredient of Lavender. The shaving soap adds a fantastic smooth, moisturising cushioned layer to your face ready for your shave. 100% natural. No Parabens, no SLES, only natural, ethical, vegan friendly ingredients. Each soap is hand cut so may differ slightly in shape.